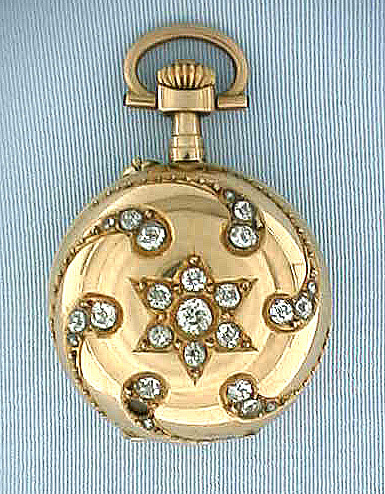 Good Swiss 18K gold and diamond antique ladies pendant watch circa 1895. The cover set with 25 good size diamonds in the design of a star surrounded by comets. 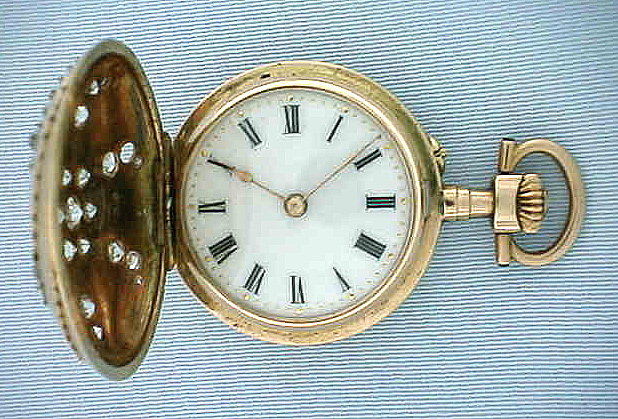 Good white enamel dial with gold minute markers and gold hands. Gilt 10 jewel cylinder movement. Most attractive.